Leigh Garcia’s [MFA 2018] masters of fine arts exhibition, “El Camino Doloroso,” was on display in the Humanities seventh floor gallery and wrapped up March 15, examining the treacherous journey undocumented Mexican immigrants endure while crossing the border to the United States. 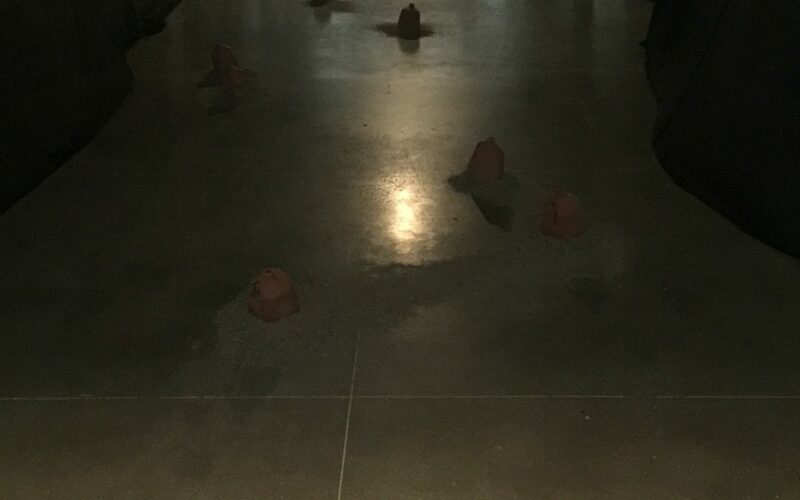 Surrounded by sand, jugs displayed on the gallery floor represented this exhibit. Each jug contained a different image hand-drawn by Garcia, representing historic moments that have led up to and culminated in the current immigration situation. Garcia said her personal background, as well as a Chicano Studies course that she took at the University of Wisconsin ­­— which presented history she had previously learned from an exclusively white male perspective growing up in Texas —motivated her to center her show around the topic of undocumented immigration from Mexico to the United States.